MIAMI – February 16, 2018 – The National Marine Manufacturers Association (NMMA) and Boating Writers International (BWI) honoured winners of the 2018 Progressive Insurance Miami International Boat Show Innovation Awards, recognizing exceptionally groundbreaking new consumer marine products. The Awards were presented during the boat show’s annual Innovation Breakfast, held at Miami Marine Stadium Park & Basin on Virginia Key. This year’s program evaluated 62 products across 19 categories featuring an outstanding pool of entries. The judges ultimately selected 17 winners and two honourable mentions in 16 categories for a total of 19 honourees. 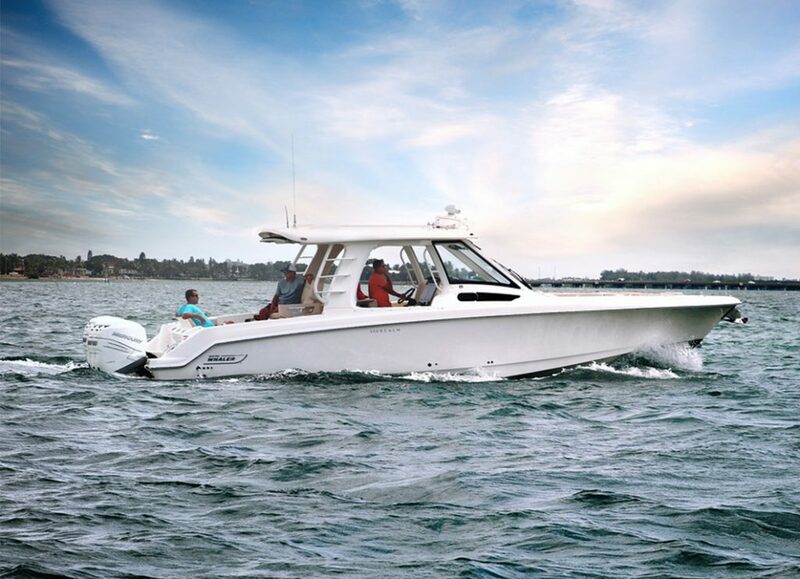 Cabin Cruisers: 350 Realm, Boston Whaler, Inc.
Environmental Award: PlasDeck Eco Series, Plasteak, Inc.
Inboard Engines: 3JH40 Common Rail Inboard Diesel Engine, Yanmar Marine International B.V. 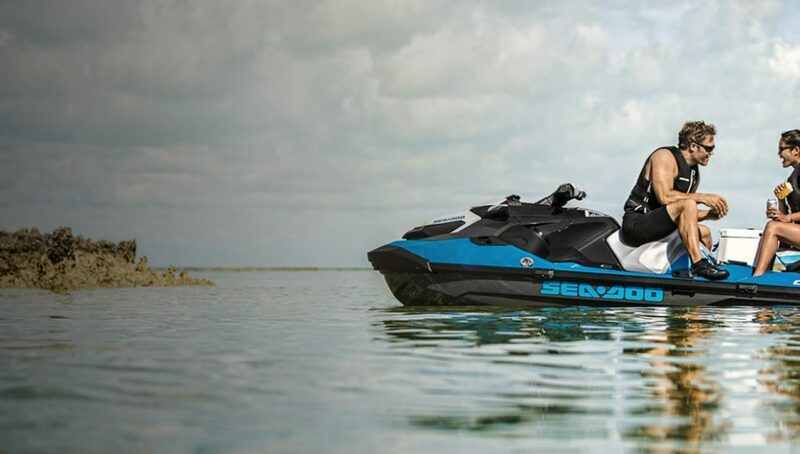 Personal Watercraft: Sea-Doo GTX Limited Watercraft, BRP U.S., Inc. Propulsion Equipment & Parts: BOW-Proportional, Vetus Maxwell, Inc. The Innovation Awards judges’ committee is comprised of eight BWI members who perform product testing throughout the year and have specific expertise in marine products and equipment. The judges’ committee is co-chaired by Zuzana Prochazka and Alan Wendt. Robert Beringer: Robert is a Florida-based freelance marine journalist & photographer, and member of Boating Writers International. He learned to sail on the Great Lakes in a Hobie 16 and now sails a Catalina 34. He is the holder of a USCG 50-ton Master’s License, logging over 28,000-miles under sail. His articles regularly appear in Cruising World, Sail, Ocean Navigator, All at Sea and Blue Water Sailor. His first book, Water Power! a collection of marine short stories, is available at Barnes & Noble. John Burnham: John is a freelance writer, editor, and leadership coach, living in Middletown, R.I. He served for many years as chief editor of Sailing World and Cruising World magazines, and as editorial director of boats.com, YachtWorld, and Boat Trader websites. John is also a top sailboat racer, with International One-Design and Shields class championship titles to his credit. Ann Hoffner: Ann spent ten years cruising the Pacific on s/v Oddly Enough, a Peterson 44, ending up in Borneo. She has a background in physical oceanography and writes articles on meteorology, destinations, and sailboat maintenance for Cruising World, SAIL, Blue Water Sailing, and Ocean Navigator magazines and is a member of Boating Writers International, Society of Environmental Journalists, Investigative Reporters and Editors, and American Society of Journalists and Authors. She and her husband, photographer Tom Bailey, recently bought back Kraken, their first cruising boat, and look forward to traveling again. Pete McDonald: Pete is the deputy editor of Boating Magazine, where he has worked for the past 19 years. He has also been published in several other boating and fishing magazines and is the author of the book, The Blitz: Fly Fishing the Atlantic Migration. Pete grew up on the water in South Florida, and currently boats and fishes around New York’s Long Island. Zuzana Prochazka (Chair): Zuzana is a freelance writer and photographer with a USCG 100 Ton Master license. She writes for 15 different power and sail magazines and websites and serves as an international presenter on charter destinations and technical topics. A 10-year member of the board of Boating Writers International, she has been leading the Innovation Awards for the past eight years. Lenny Rudow: Lenny is the angler in chief at FishTalk Magazine, fishing and electronics editor for BoatUS Magazine, a contributing editor for Sport Fishing Magazine, and freelances for a number of publications and web sites. He is currently the President of BWI. Lenny lives in Edgewater, MD, and can be spotted often on the Chesapeake Bay – or whatever body of water may be near his current location. Alan Wendt (Co-Chair): Alan is a freelance writer for Southern Boating and Lakeland Boating, the past president of BWI and lead judge for the Innovation Awards at IBEX and co-chair for Innovation Awards at the Miami International Boat Show. His career has included decades of news reporting for newspaper, radio and TV news outlets, magazine publishing, Yacht Rendezvous and Special Dealer Events, and developing brand messaging for retail marine dealers, OEMs and related service providers. Celebrating the thousands of innovative products, ideas and services showcased during the Miami International Boat Show each year, the Innovation Breakfast featured a host of presentations focused on propelling the recreational boating industry. 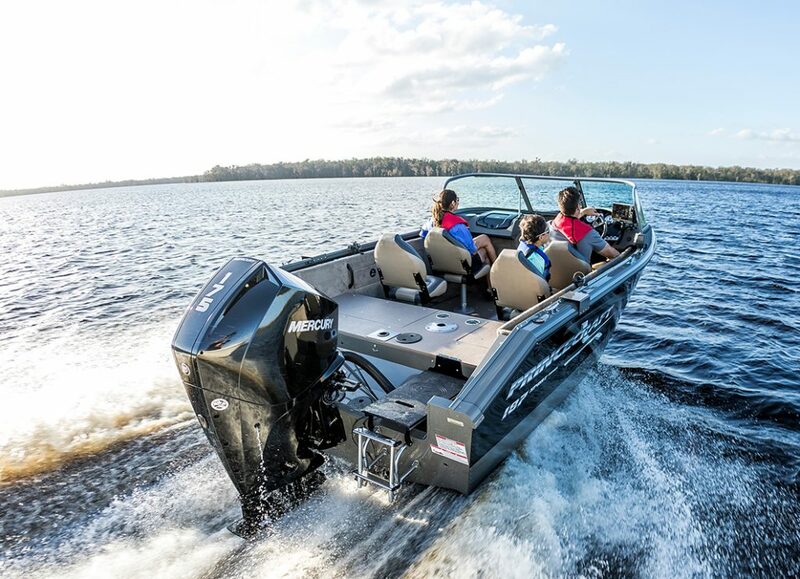 The Innovation Breakfast was presented by GM Marine Engine Technology and the Recreational Boating & Fishing Foundation (RBFF) and, with support from Enterprise Florida.